Tired of loneliness in the worlds Minecraft PE? Mod Boyfriend fix it! Now in the world MCPE you will have a friend who will follow you and wear some of your things. 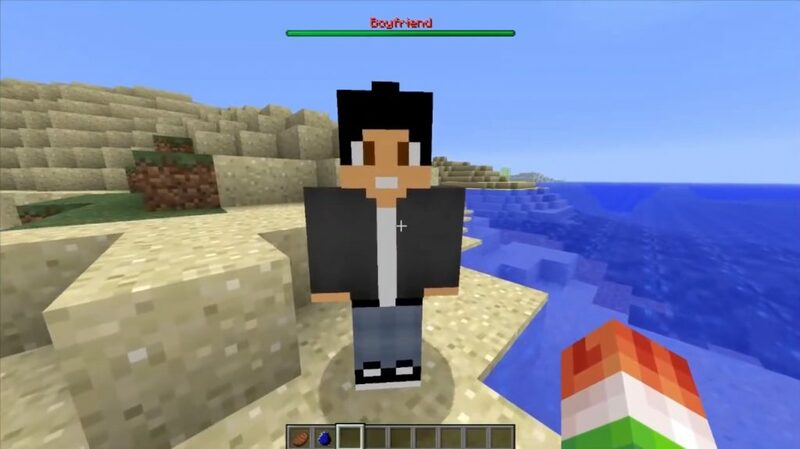 Perhaps the new mobs will not bring you much benefit, but at least it would be a great company to travel around the world of Minecraft Pocket Edition. Today, this friend will not even be able to protect you, but we hope that in future updates this will be fixed. 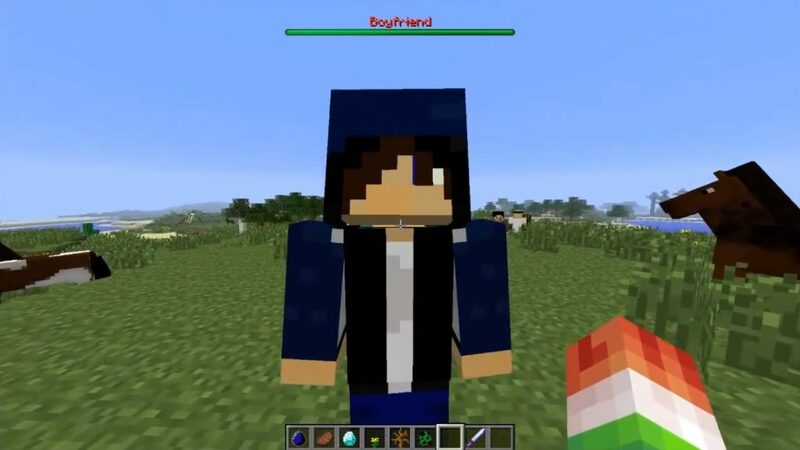 First you need to find a friend in the world of Minecraft PE. They will spawn mainly in the villages, because they are a substitute for the villagers. There are five types of guys, and each of them has its own unique style of clothing in the world of Minecraft Pocket Edition. For example, one of them looks like Steve. To marry him, you just need to give him a diamond ring (diamond). If he accepts your offer, you will see a few hearts. Your friend will follow you around the world MSRE, but at the moment he will not protect you from the attack of hostile mobs. Your friend is pretty strong and can carry your items (27 slots). In addition, he can not do anything except how to be a faithful companion who will always monitor your in the world of Minecraft PE.